You can find a wide variety of homes for sale in Otsego MN from townhomes in Kitteredge Crossings and Pleasant Creek Farms to single family homes in neighborhoods like Forest Hills and Riverwood National. Homes in Otsego will range from low $100’s to over $400,000 on average. With all that Otsego offers, we see more and more buyers asking us to send them a list of homes for sale in Otsego every year. Otsego is a great choice for those with an active lifestyle as it hosts many parks. Parks include Beaudry Park, Frankfort Park, Kittredge Crossing Park, Lily Pond Park, Prairie Park & Otsego Regional Park to enjoy. Otsego is still growing and offers new construction homes for sale within a wide range of prices from $195,000 to $550,000. 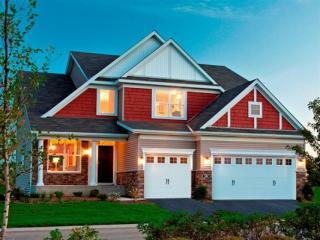 Arbor Creek & Kittredge Crossing are two good examples of newly constructed homes and neighborhoods in Otsego. Areas like Nordin Landing near the Mississippi River and 105th ST NE offer small acreage properties with custom built homes. Otsego has six parks — Beaudry Meadows Park, Kittredge Park, Zimmer Park, Lily Pond Park, School Knoll Park and Prairie Park. Residents of the city say they enjoy area amenities like the Mississippi River, the many sports fields including basketball, tennis and baseball, trails, and lakes. Buying a home in the community of Otsego is perfect for anyone looking to capitalize on the benefits of “small town” living with access to major roads, shopping, lakes and a close proximity to Minneapolis. As Otsego Realtors, we can offer you a free, no obligation home market analysis of your home. This page is set up for information on Otsego only and the property listings are updated daily from the Otsego MLS. Our agents can be reached anytime by calling/texting 612-282-SOLD (7653).